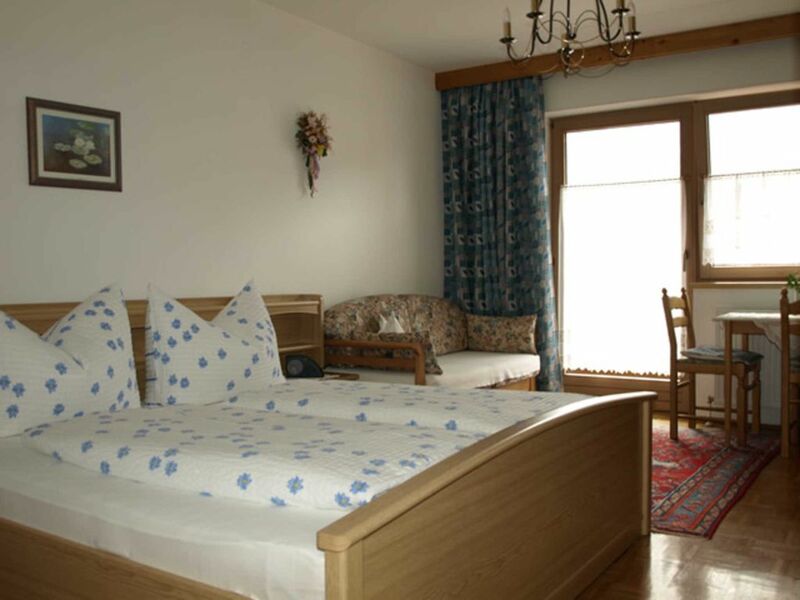 Beautiful double room in the "Tyrolean country house style" with shower / WC, radio, hair dryer, guest soap, satellite TV, safe, guest refrigerator, coffee maker, kettle, and dishes for a snack available. Small sitting area and balcony or loggia with sun loungers and parasol. Ski bus or Regional bus stop in the immediate vicinity! Ski bus and hiking bus stop vis à vis! Close to the center, 5 minutes walk to the lake and the Seibahn, Schiwiese or Children's ski school vis-à-vis. Trails and ski bus behind the house.